He simply calls out the numbers as they are printed, and the students file into the auditorium in an orderly fashion, filling it completely. Well, the first day is very long indeed. But Bertie has an infinite supply of bitcoins and things go well. Avoiding the well-travelled road of explaining “this,” “closures,” or “monads,” he decides to explain functional iterators using the Tortoise and Hare algorithm2 as an example. People are scratching their heads, but on the second day, all of the students from the first day return. So it must have been a decent lecture. In fact, a few people liked the lecture so much that they recommended it to their friends, and one million additional students are lined up for seats in his class on the morning of the second day. He has an infinite number of seats in the auditorium, but they are all full. What can he do? He has constructed an iterator with instructions for moving seats. Bertie tells the first person to move from seat zero to seat one million, the second from one to one million and one, and so forth. This means that seats 0 through 999,999 become vacant, so the 1,000,000 new students have a place to sit. Day Two goes well, and he is very pleased with his venture. Bertie calls out the seat numbers on Jeff’s bus and the number of an odd-numbered (and therefore vacant) seat in the auditorium for them to occupy. Bertie has managed to add an infinite number of students to an infinitely large but full auditorium. He’s so pleased, Bertie lets Jeff be the guest lecturer. The audience has loved Bertie’s abstract approach to programming so far, but they’re hungry for practical knowledge and Jeff enthrals them with a walkthrough of how the Discourse User Experience is implemented. As a bonus, Jeff shares his insights into programming productivity.3 By the end of the day, everyone is typing over 100wpm and has placed an order for multiple wall-sized monitors on eBay. Day Three went well, so all the students return and the auditorium remains full. Everyone is very pleased and looking forward to Day Four. Bertie has to seat an infinite number of infinite groups of people, in an infinite auditorium that is already full! Now what? Out comes the bullhorn and yesterday’s program, and he quickly moves all of his existing students into the even-numbered seats, leaving an infinite number of odd seats available for newcomers. If you think of the buses and seats forming a square, the diagonals iterator makes a path from one corner and works its way out, enumerating over every possible combination of bus and seat. 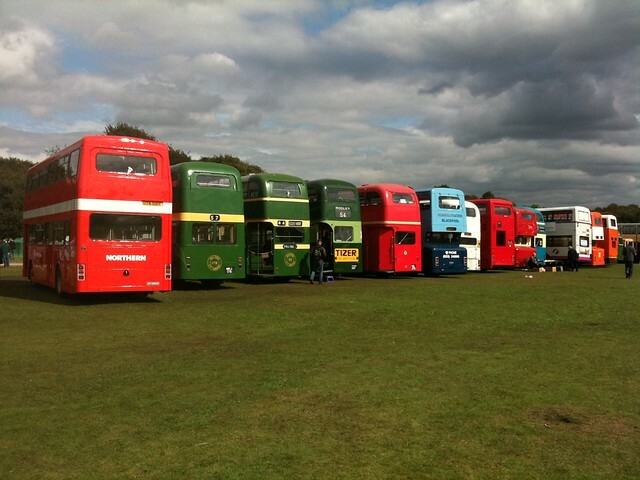 Thus, given countably infinite time, it will list every one of the countably infinite number of Redditors on each of the countably infinite number of buses. Well, this seats an infinite number of Redditors on an infinite number of buses in an infinite auditorium that was already full. He does a code walkthrough with the students, then segues on to talk about other interesting aspects of Georg Cantor4’s work and a digression into Hotel Management.5 By the time he finishes with a discussion of the Hypergame6 proof of the infinite number of infinities, everyone has forgotten that they came to scoff. You can put a countably infinite number of seats into a one-to-one correspondence with the numbers, therefore they have the same cardinality. You can add a finite number to an countably infinite number and put your new number into a one-to-one correspondence with the numbers, therefore infinity plus a finite number has the same cardinality as the numbers. You can add infinity to infinity and put your new number into a one-to-one correspondence with the numbers, therefore infinity plus infinity has the same cardinality as the numbers. By induction, you can add a finite number of infinities together and have the same cardinality as the numbers. You can add an infinite number of infinities to infinity and put your new number into a one-to-one correspondence with the numbers, therefore an infinity times infinity has the same cardinality as the numbers. While the students busy themselves writing the test, he sends a pull request to integrate his concatenate function into allong.es.